When you look at the phone from the front, you know you have seen that design somewhere very recently – the Moto G4 Plus. Lenovo is trying to keep the overall design tone common across the Moto phones, just like its original parents did with the iconic curved backs and a dimple. The rounded square fingerprint scanner at the front bottom, curved edges to allow for a sublime experience when you hold the phone all plays well though simple is what it looks like. Where it gets interesting is the back of the phone, two important things. One is the big rounded camera module and at the bottom you’d see the “pins” that show you the practical implementation of Google’s Project Ara in the real world – the Moto Mods. These pins will allow for using three additions to start with – a InstaShare projector module, a SoundBoost JBL audio module and an extended PowerPack battery module. At any point in time one of these can be slapped onto the phone and they’re connected via the pins. And if you’re still that die hard Moto Maker fan, Lenovo has you covered with a range of back covers that can also be slapped on as well. 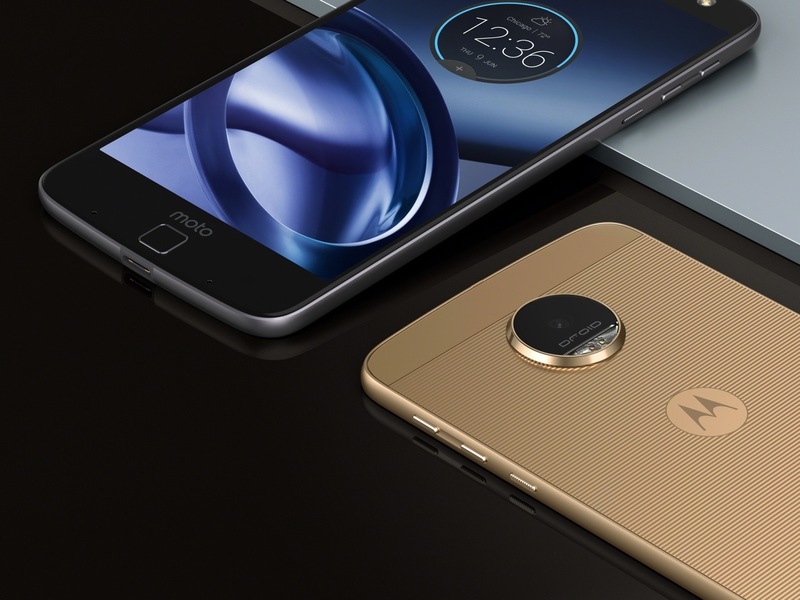 While that was the “fizz” of the Moto Z series, we fly down to more details of the two phones the Moto Z and the Moto Z Force. Both the phones come with a 5.5″ inches QHD AMOLED screen protected by Gorilla Glass 4, a bump from last year’s QHD screen on the Moto X Pure / Style. The Z Force comes with the Moto’s Shatter Shield we saw on last year’s X Force. The Z is super thin at just 5.2mm while the Z Force is 7mm thick. This helps to keep the phones on the aesthetics with the options to slap those thick modules on their back. Under the hood, both the phones are powered by Qualcomm’s latest Snapdragon 820 SoC with 4GB of RAM and an Adreno 530 GPU. While the Moto Z has a 2600 mAh battery the Z Force has a bigger 3500 mAh battery. As usual the phones will have support for the Turbo charging that we’ve come to see on the Moto G and Moto X series from last year. On the software side of things the phones run on near stock Android Marshmallow with the usual additions of Moto’s apps. 32/64 GB of internal memory options are available while 256 GB of external memory can be plugged in to expand the storage as well. 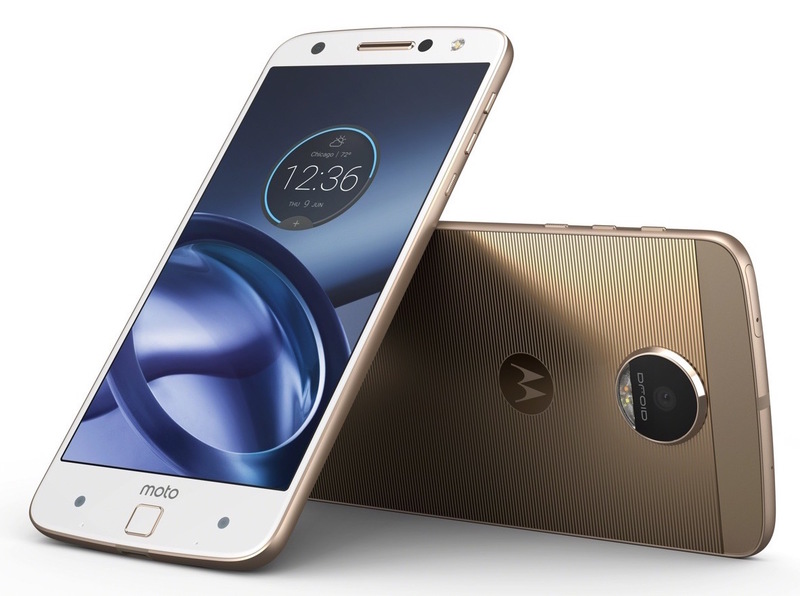 On the camera front, the Moto Z has a 13MP f 1.8 aperture lens with PDAF and laser autofocus while the Moto Z Force has a OIS supported 21MP primary shooter. There is a 5MP front shooter on both the phone that have a wide angle support. We have heard rumours about Apple ditching the 3.5mm audio jack and LeEco recently launched phones without the same and went for USB Type-C option for audio purposes. Moto Z and the Z Force will follow the same and ditch the 3.5mm audio jacks. One of the surprises of the show was Ashton Kutcher who kickstarted the Moto Mods developer program under which lots of software and hardware options will be discovered increasing the range of modules for the phones. The exact dates for India launch is not yet announced but we are sure Lenovo is trying hard to bring it as soon as possible. The Moto Z phones have gone much beyond the change in naming. The Moto phones were usually frowned upon for being bulky and heavy but Lenovo has changed that now. It was a real surprise (until that last min teaser) that Lenovo was shooting for slimness with the new Moto phones. 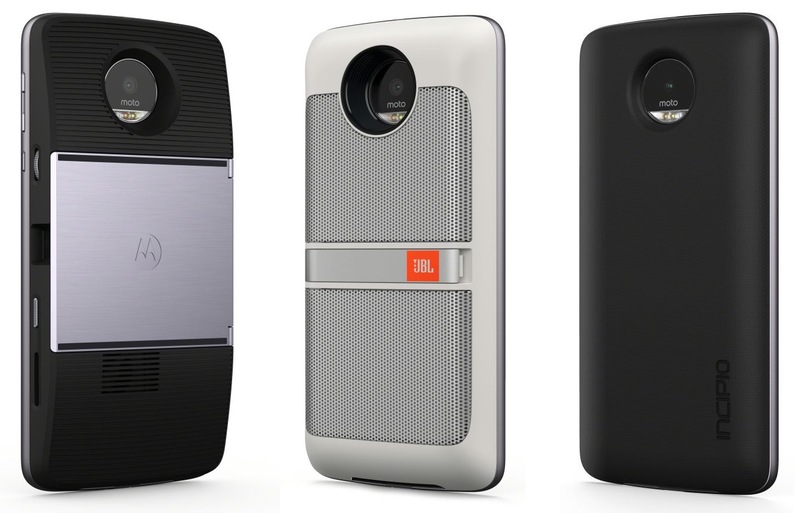 And the Moto Mods bring in really refreshing moves for the flagship phones. We saw LG do it with the G5 and Moto Z series will prove that this is the way going forward. And the cool way of using magnetic technology and pins to fit the additional mods showcase the power of innovation at the same time bring in case. With the G5 it is more of locking out the mods with force but here its just slap and go! Wait, its not all exciting yet. What we do not know is the pricing and how a normal user would find this useful – as cool as it sounds how many would find the use of a projector on a phone? And with the range of BT enabled speakers we get these days how much will an additional speaker entice someone to buy and slap it onto a phone? However an extended battery is always welcome! We will know in time but its such a contrasting difference when you compare the Z and G5 phones with one of the best every Android phones made, the Galaxy S7. Samsung never went for the USB Type-C option or ditched the 3.5mm jack. Was their decision based on “this ain’t the right time yet for the future” indeed a wise choice? We definitely think so. What do you think? Let us know in the comments.